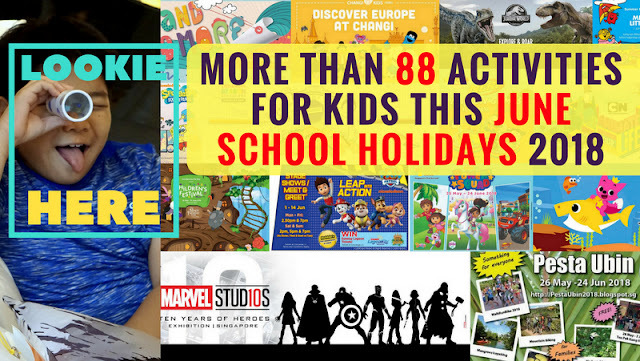 The 4 weeks of June School Holidays are upon us once more and if you are fretting how to keep the kids occupied, rest easy because I have got the answers all compiled into one handy list for you! More than 88 activities to pick from as a matter of fact... holidays no enough if you ask me. LOL. SINGAPORE'S LARGEST POP-UP CREATIVE MARKET IS BACK FOR ITS SECOND EDITION, BIGGER AND BETTER THAN BEFORE! Escape into a land of pure enjoyment complete with an endless variety of eateries and retail to great music and interactive entertainment. This year on 25 to 27 May and 1 to 3 June, taking over the entire Bayfront Event Space, Marina Bay of over 140,000 sqft, Artbox is set to be Singapore’s largest creative market, comprising of over 400 regional and local creative makers and partners. A market with offerings for all ages, do anticipate many interactive elements and activities, creative art installations, wide variety of delectable food. Join us in our yearly getaway from city-life into the Oasis this May. 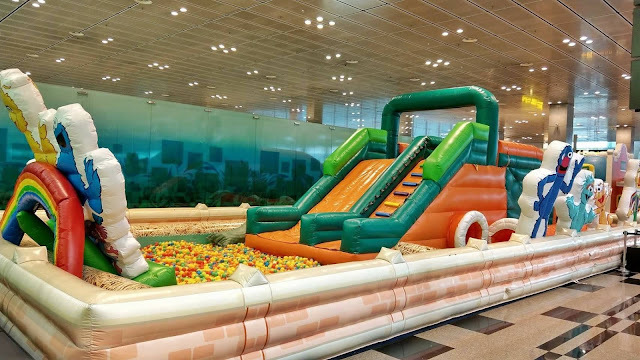 Participate in fun activities, enjoy music performances, hop into the foam pit decked with pool floats with your kids! Go green and be arty this school holidays at Goodman Open House – Re:Imagined, a family-friendly arts festival that offers art lovers of all ages a creative day out to enjoy. Held in Goodman Arts Centre, Singapore’s largest arts enclave, the one-day festival and open house takes on, for the first time, a theme on reimagining creative ways of art making in an environmentally sustainable fashion. 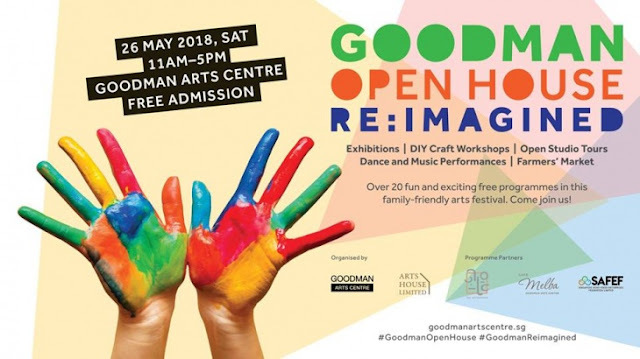 With over 20 different workshops and performances by Goodman’s resident artists and arts groups, junior and adult festival-goers can immerse themselves in interactive activities, explore open studios and tours, check out exhibitions, and shop in a sustainable lifestyle market. Click HERE for the full festival line-up. 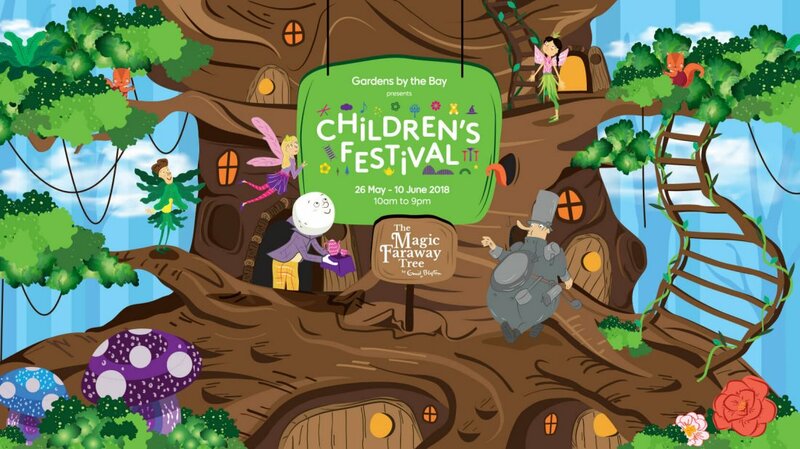 Based on the beloved children's books by Enid Blyton, Children's Festival at Gardens by the Bay takes you on a journey to four fascinating lands up The Magic Faraway Tree. Find fairy folk and magic spells in the Land of Enchantments and watch toys come to life in the Land of Toys. At the Land of Nursery Rhymes, spot Little Miss Muffet eating her curds and whey. Lastly, feast your eyes on mouth-watering treats in the Land of Tea Parties! With the Magic Leaf booklet, solve puzzles in each land and collect the colour rubs of four special items to receive a prize! For more details on activities, visit HERE. 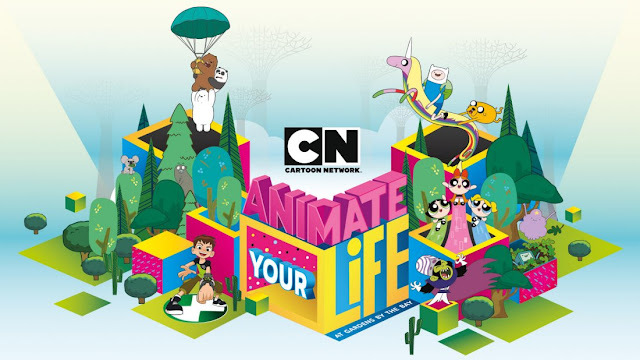 Enter the world of cartoons, as Cartoon Network brings you “Animate Your Life” – a 16-day festival celebrating fans, fun and fans of fun. Get ready to go on an adventure in the Land of Ooo and get creative by Powerpuff-ing yourself in Townsville! Want to be a hero like Ben 10? Then test your skills at the Ben 10 boot camp. Just want to hang? Then chill with your favourite bears – Grizz, Panda and Ice Bear in their cosy cave. Mums can learn how to draw their favourite cartoons while dads can make sense of stop motion – all in the name of fun! Whether you are young or just young at heart, there is something for everyone! Plus here’s your chance to meet and take a fun family photo with your favourite toon stars and learn what makes them so great! For more details and tickets, visit HERE. Many Pesta Ubin activities are free of charge. Some do NOT require registration. Simply come to Pulau Ubin and join the fun! Find a Pesta Ubin activity that suits your schedule and interest at pestaubin2018.blogspot.sg/. Enter a world of living colours this school holidays from 26 May to 24 June 2018. Learn flap-tastic facts about our colourful feathered friends through fun-filled activities just for families! Embark on a colourful journey to learn more about our feathered friends. Bonus stations of fun games await kids on the weekends! Take a closer look at our display of feathers from our colourful feathered friends. Learn fun facts about our colourful feathered friends through an entertaining puppet show. Learn more about our Macaws and Scarlet Ibises from our keepers through educational live commentaries. Say hi to Sunny, Jurong Bird Park’s animal icon mascot and snap pictures with him! Go BANANAS as Singapore Zoo celebrates 45 wild years! 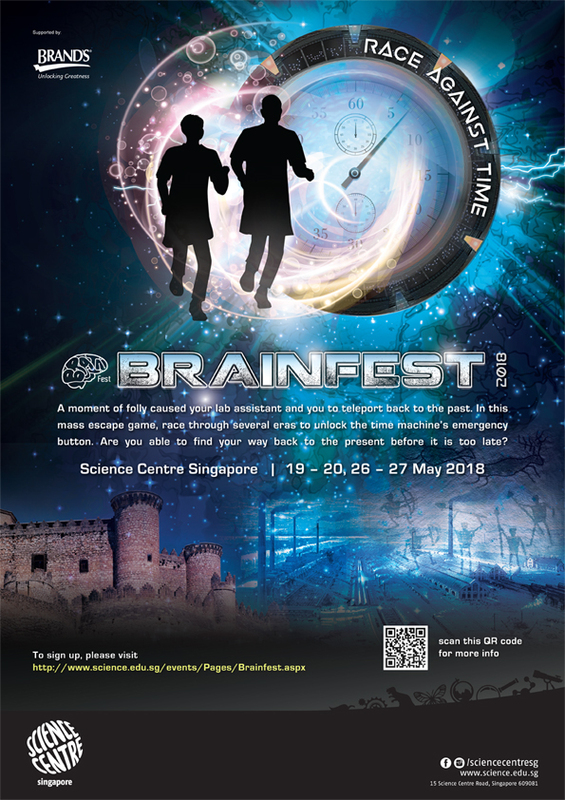 Get ready to experience Singapore Zoo in a new light with an array of activities and promotions from 26 May to 27 June 2018! Catch flash mob performers around the park as they wow the crowd with their moves. 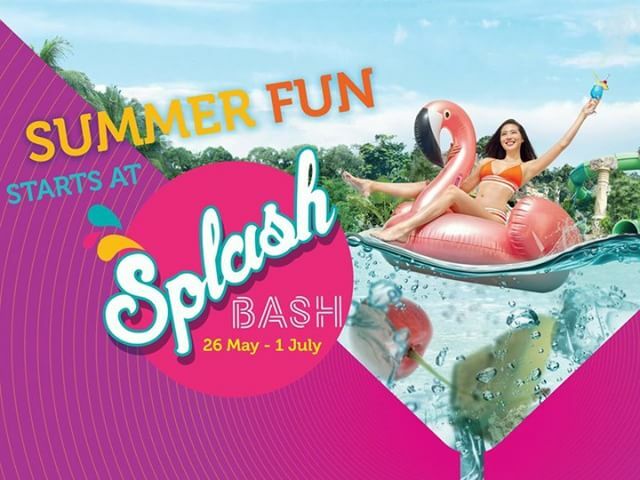 On weekends and public holidays from 26 May to 1 July 2018, thrill-seekers can put their agility to the test in exciting water-themed challenges at Adventure Cove Waterpark’s Splash Bash. Highlights include The Flamingo Race, where participants sit atop a giant pink flamingo float and paddle towards the finish line amidst thrashing waves at Bluwater Bay. 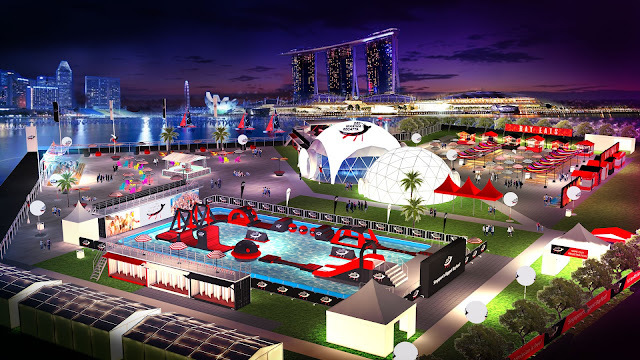 Those seeking more excitement can head to Flag Down and Hurdle Up where speedsters will race against time to complete an obstacle course in the shortest time. Contenders with the fastest timings stand a chance to win attractive prizes such as smartphones, smartwatches and action cameras. In addition to thrilling water slides, guests can cool off with refreshing tropical drinks and groove to the beats of the resident DJ. For more information, visit HERE. 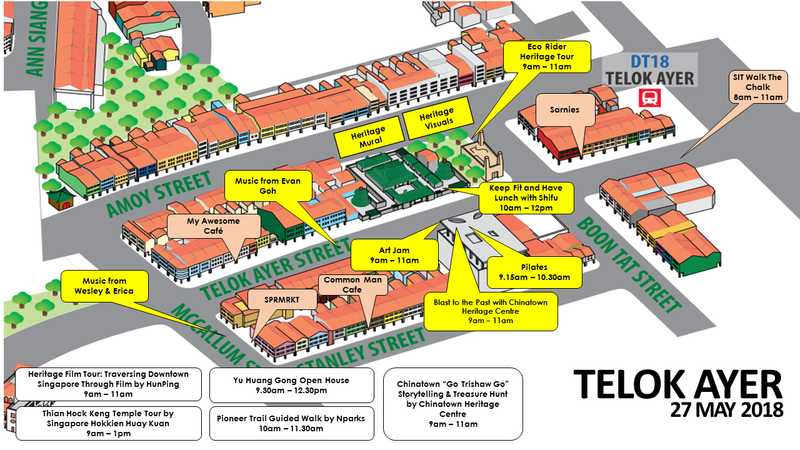 The Civic and Telok Ayer District will be transformed into a cycle-friendly, walkable and activity-filled public space with something for everyone on 27 May 2018. The streets will come alive for families, joggers, cyclists and fitness enthusiasts who can look forward to various activities. There will be a Kids Zone where the little ones can oin in various hands-on activities like pebble-painting, sketching, colouring and bouncy castles. For more information, visit HERE. 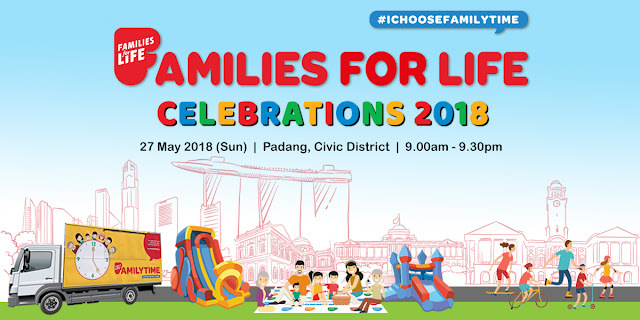 The annual Families for Life Celebrations returns to Car-Free Sunday SG with a wide array of activities curated for all types of families! Whether you’re an Active Family, a Foodie Family, an Arts & Cultural Family or a Chillax Family, there’s something for everyone! Get ready to have some bouncy fun at the Bouncy Wonderland on the Padang; or simply tuck into a sumptuous spread of local delights at the Breakfast Picnic and Evening Picnic, and end the day with music performances and an outdoor movie screening under the stars. Visit HERE for the detailed programme schedule. 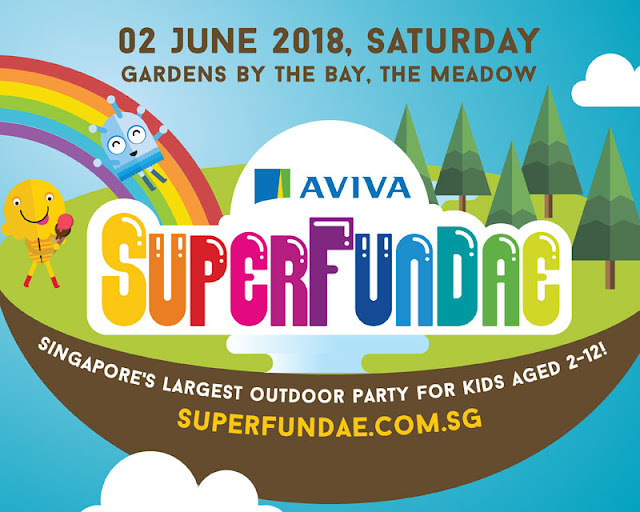 Aviva Superfundae is a one-of-a-kind funival where you can indulge in some unique, quirky and all-out fantastic all-day play with your family. Experience play at its best via games and activities which effortlessly fuse structured and free play. Tickets HERE. Did you know that Coney Island Park has a very interesting history? Follow NParks' volunteer guide to find out more and learn more about the interesting flora and fauna found on the island. 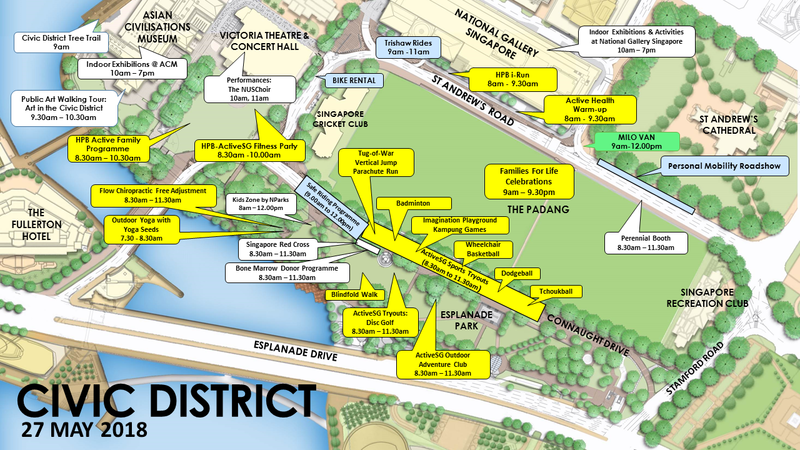 Head to the Festival to explore and learn more about Singapore's rich biodiversity! Get involved in the many exciting activities at the Festival, and find out how you can play a part in conserving Singapore's biodiversity. You will also be able to gain a deeper understanding and appreciation of Singapore's rich natural offerings, its benefits, and relevance to us in Singapore. Read MORE about our outdoor camping experience HERE. Every river has many stories to tell. Join us for a 20-min story-telling session along the water’s edge to see what fascinating river dwelling animals we discover. Snap a photo with Canola, our iconic River Safari animal mascot! Kids, learn about our river-dwelling animals like Pelicans through games. You’ll have a splash! From 2 June to 22 August 2018, be immersed in a one-of-a-kind experience, Jurassic World: Explore & Roar at Universal Studios Singapore. Featuring an all-new live action show and an interactive raptor training programme, guests will embark on an adventure to encounter these remarkable creatures in ways never seen before! Thomson Jazz Club presents their annual Big Band jamboree, Big Band Bash. The Club is home to two of Singapore’s best known bands – Thomson Swing Band and Thomson Big Band. There can’t be many more pleasant ways to spend a Sunday evening than in the lush tropical setting of the Botanic Gardens listening to some of the world’s best loved tunes. As the name suggests, the stage will be filled with saxophones, trumpets and trombones backed by a rhythm section. Altogether, they create a huge, golden sound which is the hallmark of this genre. So grab a picnic basket, and head down to one of Singapore’s most beautiful parks! 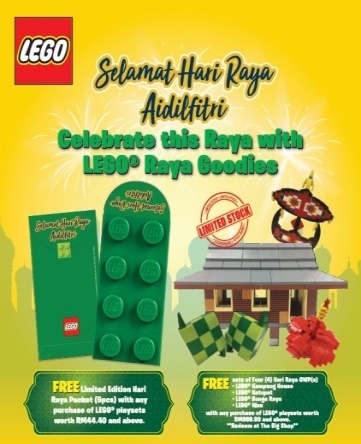 estive celebration of Hari Raya at LEGOLAND® Malaysia Resort. To bring out the real essence of this holiday season, the resort is also offering a wide range of activities in conjunction with the ethnic Malay’s New Year celebrations. LEGO Family Building Activity: Participate in Giant Ketupat & Pelita building activities and decorate the Kampung house. Children Kompang Tutorial: Enjoy an authentic Hari Raya celebration as your kids master the magnificent Malay Traditional Instrument, Kompang, and share the stage with the resort’s friendly performers. What’s more, participate in the first three in-park activities listed above and be rewarded with the Limited-Edition Eid Mubarak Commemorative DUPLO Brick – while stocks last! Traditional Malay Dance performance: Immerse yourself in the iconic Malay dance which portrays the colourful and vibrant Malay culture. Batik Painting tutorial: Learn traditional art technique such as batik painting and create unique family memorabilia that you can bring home. Fly a drone as you learn more on drone construction and operation. 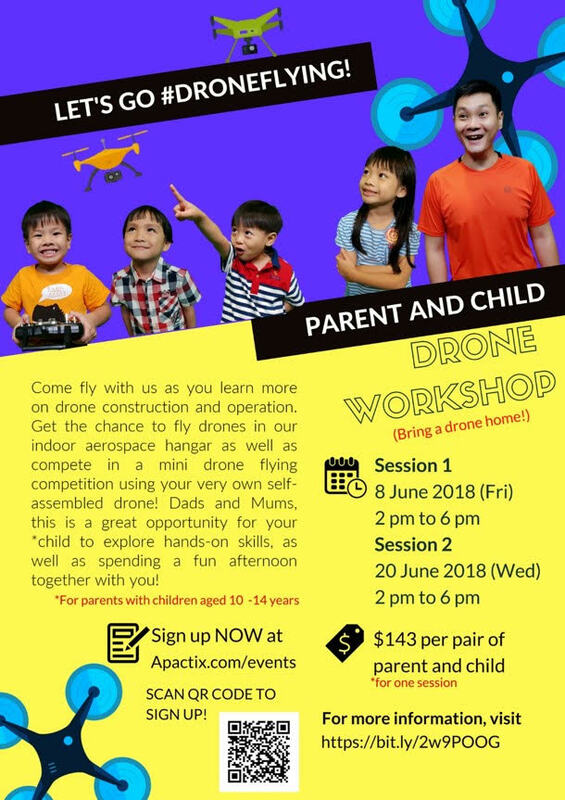 Get the chance to fly drones in our indoor aerospace hangar as well as compete in a mini drone flying competition using your very own self-assembled drone! 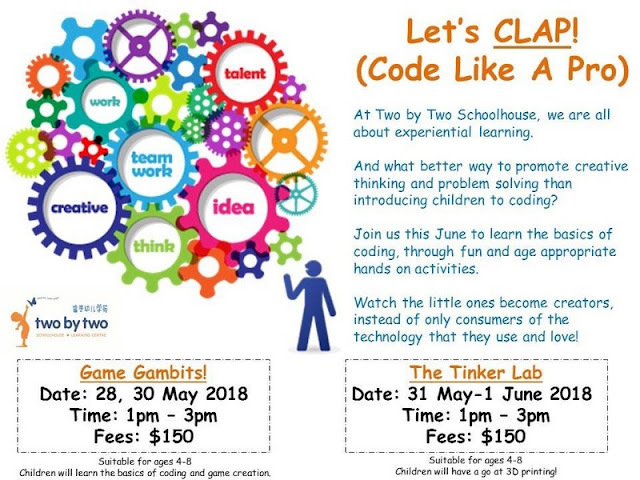 Dads and Mums, this is a great opportunity for your child to explore hands-on skills, as well as spending a fun afternoon together with you! Recommended for kids aged between 7 and 14 years old. To sign up, visit HERE. The walk will introduce participants to this unique nature area and the species which are living in its marsh, woodland and grass habitats. Participants will be guided through the ecologically sensitive core conservation area which is not usually opened to the public. The approximately 3 km guided walk will take visitors on a two-hour journey. Registration opens on 1 June 2018 (Friday) at 8am and can be done so HERE. NParks' open mic programme for local amateur performers, Live Out Loud, is entering its 3rd season with a bang! Head down to Parkland Green (East Coast Park) to catch 16 bands jam their hearts out in the Battle of the Bands competition for a chance to win professional training sessions and perform at NParks Concert Series in the Park: Rockestra! Audience votes matter. YOU have a say in who wins so gather your friends and family for a party by the beach and help us discover Singapore's next big music talent! What better way to appreciate our fathers than to spend quality time with them at the Families for Life "Celebrating Fathers" Picnic! 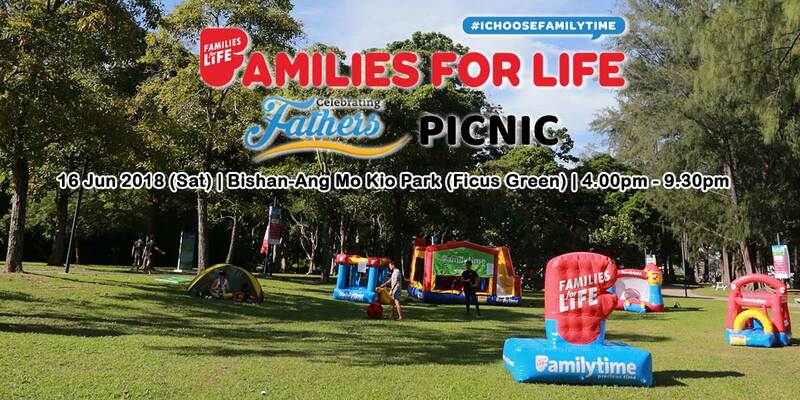 Families can look forward to an evening of fun, joy and laughter amidst the lush greenery of Bishan-AMK Park, Ficus Green. There will be lots of bouncy inflatables for the kids... better yet, pair up as a father-child team and race through the inflatable obstacle course to win attractive prizes! Check out the picnic's highlights to get you all excited and ready for your most memorable Father's Day HERE. 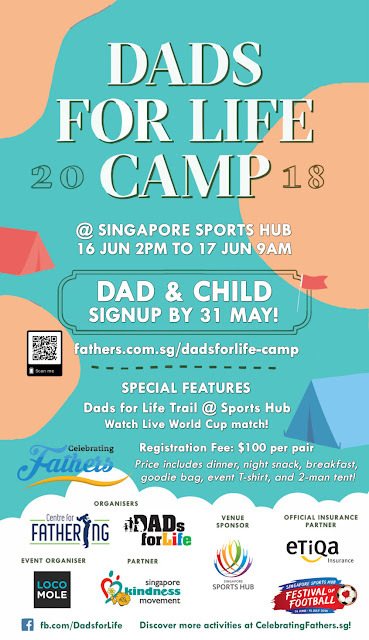 Enjoy a series of adventure-learning challenges in this Dads for Life Camp 2018 specially designed to foster dad-child interaction and communication! To register, visit HERE. Celebrate Fathers’ Day at Dad's Day Out! 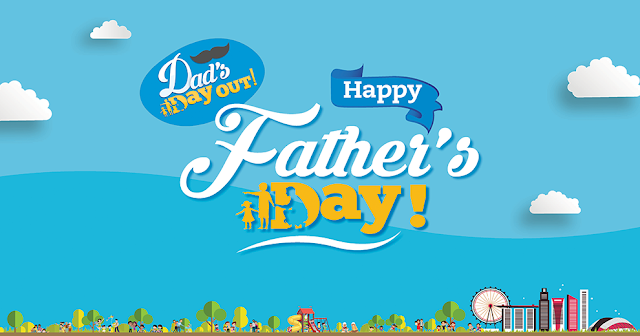 Activities include taking part in the ‘Dad’s Challenge’ to redeem a Dad’s Day Out Goodie Bag, meeting your fav Mediacorp DJs & Artistes on stage and FREE Head, Neck, Shoulder massage for all Dads! For more details, visit HERE. Back for its 2nd edition,this annual gathering of parrot enthusiasts consists of free flying macaws soaring around Palawan beach! It's a rare sight not to be missed, as the parrots take off and soar through the sky in a bright flurry of colours. Bring out the inner builder in your child and let his or her creativity flow! Join us for a garden-themed Brick Art workshop by Taman Jurong Brick Art Interest Group, where your child can learn basic building techniques. Watch as your child transforms simple rectangular building blocks into his or her own work of art and be amazed! 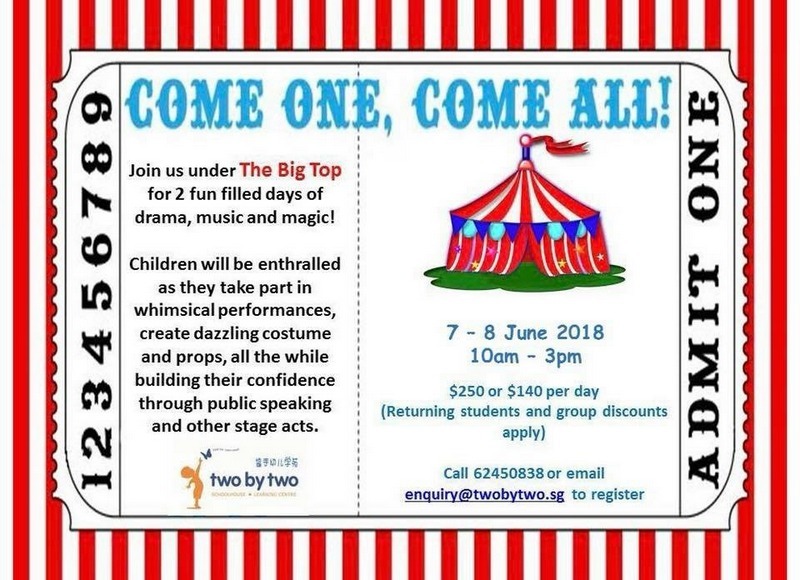 This workshop is recommended for children aged 4 to 12. Parental guidance is recommended for children aged 5 and below. Register via HERE. Happy Birthday! 2018 marks the 200th and 100th celebrations of two special composers, Charles Gounod and Leonard Bernstein. 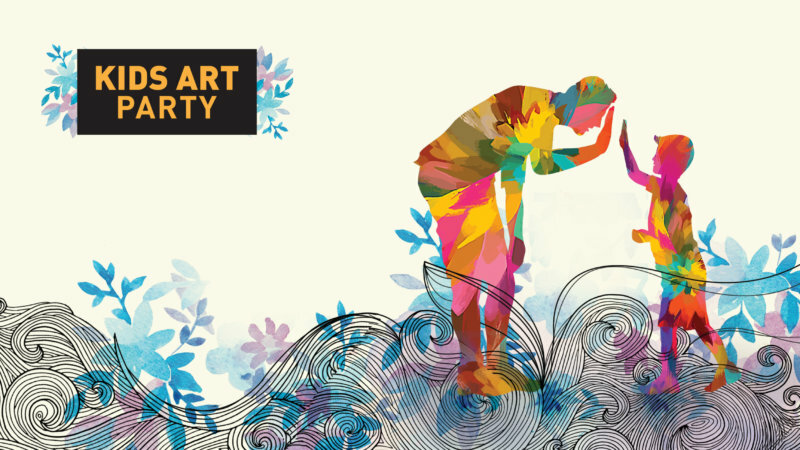 Come join the Singapore Lyric Opera at the Shaw Foundation Symphony Stage on 23 June, where they will be featuring a few of their classics from Romeo and Juliette, Faust, Trouble in Tahiti and West Side Story. This is an anniversary celebration you don’t want to miss. Are you ready to shine? Glow with Sprint Kids in this year’s bold & adventurous neon-themed obstacle race! Illuminate as you scale vertical challenges into the newly-revamped Kidz Amaze and whisk through all 10 obstacles as you compete against others by being the fastest! Not for the run, but in for the fun? Be part of the non-competitive crowd and experience 6 dazzling obstacles plus lots of family fun! For more details and to register, visit HERE. Pledge Your Heart Walk 2018 is a family-friendly 3km and 5.5km walk that aims to shine the spotlight on women, whom are gate-keepers to the family's health and are just as vulnerable as men to suffer from CVD. 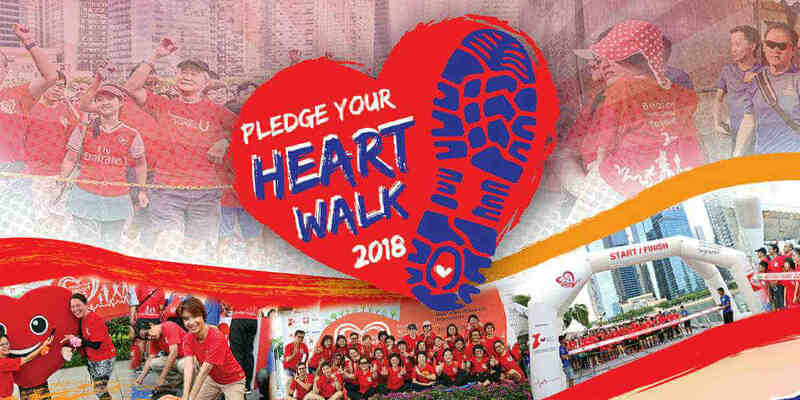 Participants, both young and the young-at-heart are encouraged to Go Red to honour the women in their life and support them in making their health a priority. Singapore's first ever unprecedented experience of Yoga fusions - with celebrity guests instructors, trainers & your favourite brands all coming together to celebrate INTERNATIONAL YOGA DAY. Joining us in this event will be your favorite brands, LORNA JANE, Yann Beyrie, SUNMOONRAIN by Shabnam Melwani, MARY KAY and many more who will all come together to celebrate INTERNATIONAL YOGA DAY! Come and experience an exciting fusion of Yoga activities which includes Paul Grilley’s Flying Dragon by our Celebrity Trainer Jo Phee, Doga (Yoga with dog), Yogalates, Silent Mob| Sound of Yoga by Celebrity instructor, Bill Calhoun. For tickets, visit HERE. EYE-POP! : a specially commissioned exhibition for children, teens and adults, featuring works by Queensland-based artist Yeah Yeah Chloe. Curated by local outfit EYEYAH!, this interactive exhibition will engage visitors about the world we live in through thought-provoking works and activities. Creative Collaboration at Art Outreach: an interactive art-making activity where participants of all ages are invited to join artist Merryn Trevethan in creating artworks that explore colour, movement and mark-making. Enjoy free admission to National Orchid Garden from 19 May - 24 June 2018 for students, Singaporeans, Permanent Residents, Work Permit Holders. ACT3i Festival for Children is a celebration of Arts and Theatre specifically catered for babies and early years. Curating and presenting immersive and sensorial Children’s Theatre performances from all over the world, each and every story will surprise, fascinate and stimulate little ones to observe, reach out and interact. For more details on various shows, visit HERE. Showcasing 9 collections of short films to bring kids, ages 2 to 18, on an exciting world journey through the magic of film. Every collection is carefully curated for a specific age-group so as to educate, enrich and inspire! 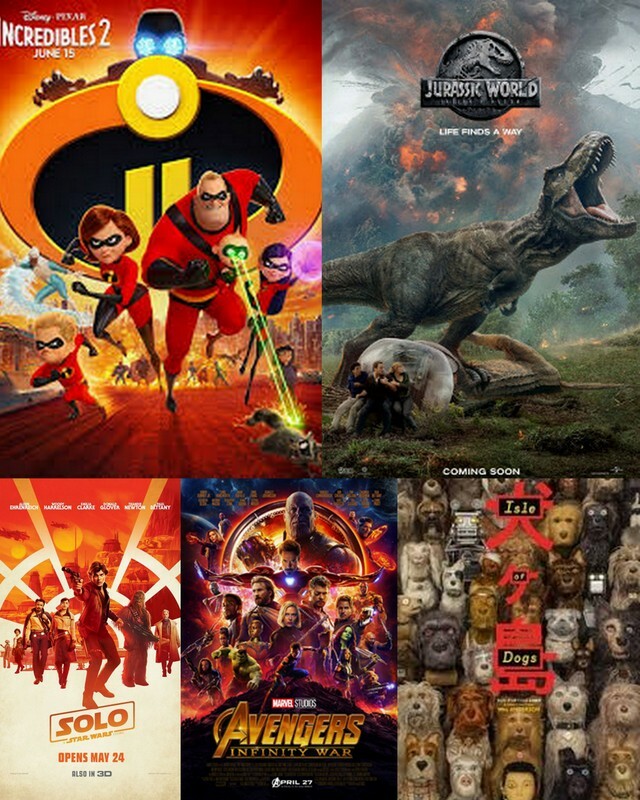 For more details of all 9 films and tickets, visit HERE. From someone the family barely knows about, to someone they can barely do without - this is the touching story of Indonesian helper Eny, who was brought in to help out as Grandpa's dementia worsens. This thoughtful play revolves around how she affects the lives of young Jeremy, Mother, Father, Grandma and Grandpa. It deals with social issues faced by today's dual-income families, like the joys and woes of intergenerational relationships, common employer-helper issues and the challenges of living with dementia sufferers. Tickets HERE. Making purchases for your new bundle of joy? Head to Baby Fair, happening at Takashimaya Square, B2 for baby essentials at up to 60% OFF! from strollers, to accessories and apparel, there are many more promotions, giveaways and lucky draw happening as well. 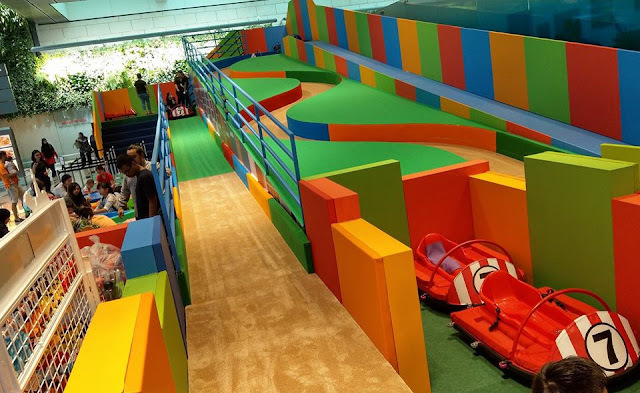 There is also a Robocar Poli slide and Meet & Greet with Wakochan too! Inspired by James Cameron’s record breaking movie AVATAR, TORUK – The First Flight transports you to the world of Pandora in a visually stunning live setting. Experience a storytelling odyssey through a new world of imagination, discovery, and possibility that have never been seen before. 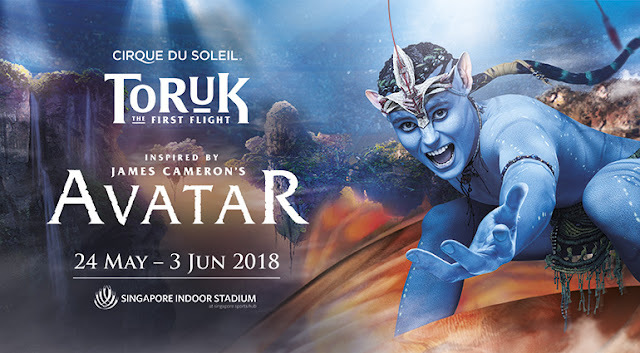 Through a riveting fusion of cutting-edge visuals, puppetry and stagecraft buoyed by a soaring cinematic score, Cirque du Soleil applies its unique signature style to James Cameron’s imaginary world and “makes the bond” between two kindred artistic visions that capture the imagination. For tickets, visit HERE. 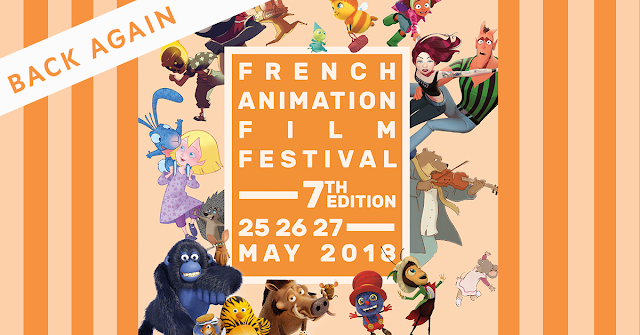 FAFF returns for its 7th edition, to present a unique selection of French animation films! Discover the real creatures of the night in Zombillénium, venture into the jungle with The Jungle Bunch, follow the adventures of Les Drôles de Petites bêtes in Tall Tales, journey through the megalopolis of California in Mutafukaz, enter a magical world of blue rabbits with Emilie Jolie, rediscover winter with Ernest and Célestine in Winter. Still crave more? Discover the vast diversity that animated films have to offer through the course of nine short films on Sunday evening! For tickets, visit HERE. 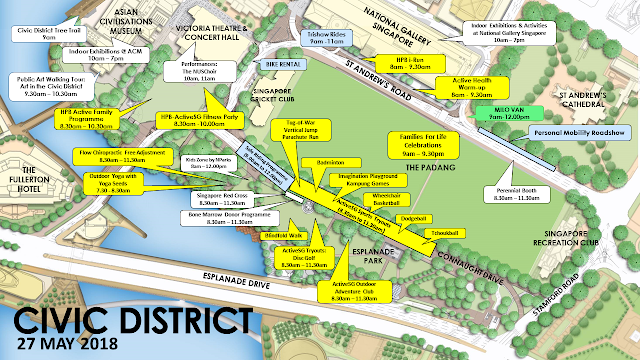 Over a 10-day festival, Esplanade is transformed by unconventional performances, large-scale installation art, and pop-up arts and technology experiences. Come and explore music, puppetry, physical theatre, comedy, and visual art as they intersect in surprising ways. Expect loads of hands-on fun for the family, with special programming for young adults looking for a late night arts experience with a twist. With ticketed and free performances by international and local artists, ignite your imagination at Flipside. Visit HERE for a detailed schedule of all activities. You’re not just watching a puppet performance here—you are the puppeteer! Take hold of a rope and bring this giant to life together with your fellow puppeteers, creating an enchanting and entertaining spectacle completed by lights and music. Japanese artist Yosuke Ikeda combines mime, magic and graphics to bring you an entertaining musical romp! Including The Beatles’ classic Hello, Goodbye as you’ve never experienced it before! Meet John, an ordinary, average salaryman, living an ordinary, average life. He is jaded and trapped in the lacklustre cycle of life. Then, meet the ensemble, a part of John’s multifaceted personality. They each represent a more bold, experimental, playful, risk-taking, extroverted, and creative side of John. Watch him rediscover his inner self and reignite his lost love for play through the craft of circus. Babymime's performances are like watching cartoons – easy to understand and fun! Their superb comic timing guarantees great fun and laughter for the young and old alike. 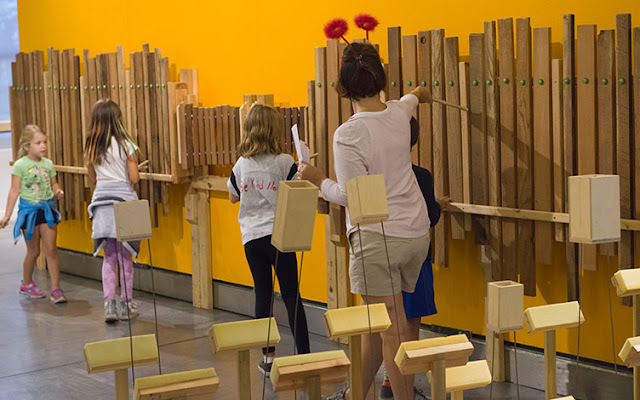 Enter an immersive and interactive sonic and visual world of sound, featuring over a dozen newly invented musical instruments and sound sculptures! Unleash your inner musician in this engaging experience suitable for all ages. Enjoy an ear-opening experience, and then explore, play and discover a whole new world of sound and music. Created by the wildly inventive mind of instrument inventor and composer Paul Dresher with builder-designer Daniel Schmidt. The Sound Maze experience begins with a 20-min orientation and demonstration of the instruments by Paul Dresher, after which you’re free to interact with the instruments for the rest of the programme. Tickets HERE. Together with Sheng Tai Toys, United Square will be organizing an exciting Japan Toys Fiesta. Be prepared to battle with newer and more powerful Beyblades as the well-received Beyblade G2 Tournament returns and participants will stand a chance to win attractive prizes and collect event-exclusive Beyblades. 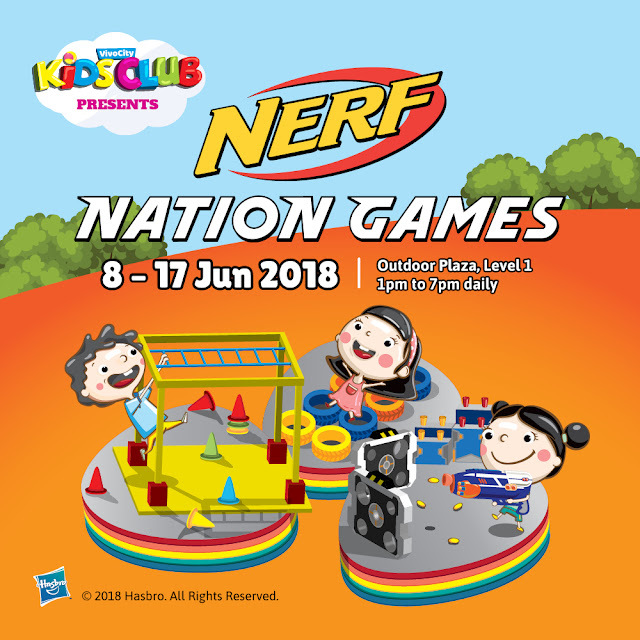 What’s more, children will also get to experience the ultimate machine battle - Break Go Ga. Not forgetting the well-loved Pokémon, Pikachu will be at United Square to meet & greet fans. This meet & greet is open for all shoppers, limited to the first 50 families per session. 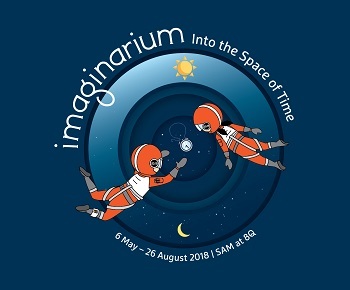 The Artground’s inaugural 10-day festival showcases the best of children’s productions from around the world, presenting 100 and 100 More novel ways of seeing the world through a child’s eyes. Accompanied by a range of non-ticketed visual arts installations, workshops and other fringe events, we hope to allow our children 100 and 100 More ways of allowing their curiosity to take root in artistic expressions, to make connections between the abstract and the physical, and ultimately, to achieve our vision of letting art do, what art does. For more information, visit HERE. 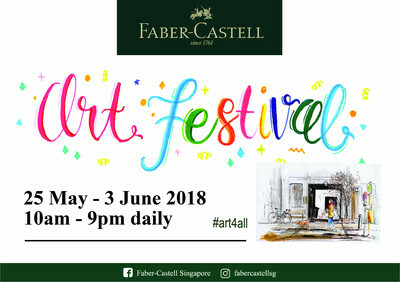 Bigger and better the second time round, there is much to see and do at the Faber-Castell Art Festival 2018. Visitors are in for a visual treat with one-of-a-kind artwork displays and live demonstrations by the line-up of 26 local and international artists. Key highlights include eye-catching sculptures made entirely from Faber-Castell pencils by artist Kerstin Schulz from Germany, and miniature sculptures of Singapore's iconic landmarks by Indonesian artist, Muhamad Taufik. Using Faber-Castell Acrylic Colours, corrugated paper and PVC boards, Muhamad Taufik has skilfully handcrafted miniatures of buildings such as the Capitol Building, The Cathay, and MICA Building. There's nothing quite like watching an artist at work -- in showcasing their respective art forms and unique styles, a selection of artists will be demonstrating their craft, live, during the weekends. Calling all little explorers and heroes! Be part of the coolest Nick Jr. team, the Power Squad this school holiday, and join them on their first-ever adventure at City Square Mall from 25 May – 24 June 2018. Embark on an adventure of bravery and kindness featuring Dora the Explorer, Boots and Diego, and catch the awesome new hero, Nella the Princess Knight, in action for the first time in Asia! Then head outdoors for loads of fun-filled activities at the Power-Packed Carnival and also get to meet Dora and friends as they go on an explorer trail throughout the mall. Join the Power Squad on an adventure of bravery and kindness featuring Dora, Diego and Boots. Catch the awesome new heroine, Nella the Princess Knight, in action for the first time in Asia! Redeem a Meet & Greet Pass 1 hour prior to each show with $50 spent. 50 passes per session. Join Dora, Boots & Diego as they embark on a roving explorer adventure around the mall! Redeem a play pass with $60 spent. Ocean Fest is calling ocean-lovers to come learn about the impact of plastic pollution in the ocean and how you can help reduce it. 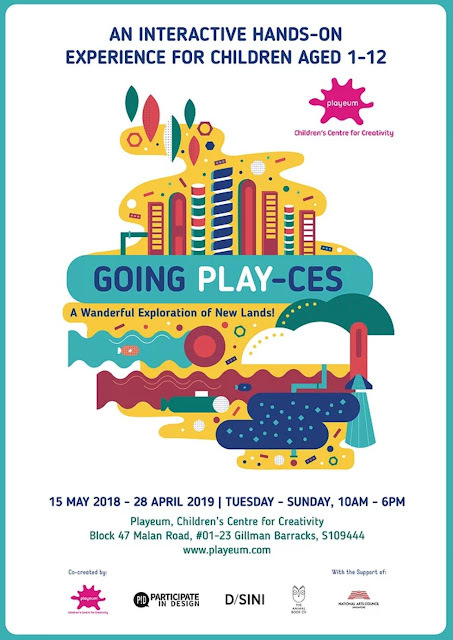 Play the role of a detective in Ocean Lab, browse through a range of eco-friendly products at its very first Ocean Eco-market or join the Green Workshops. 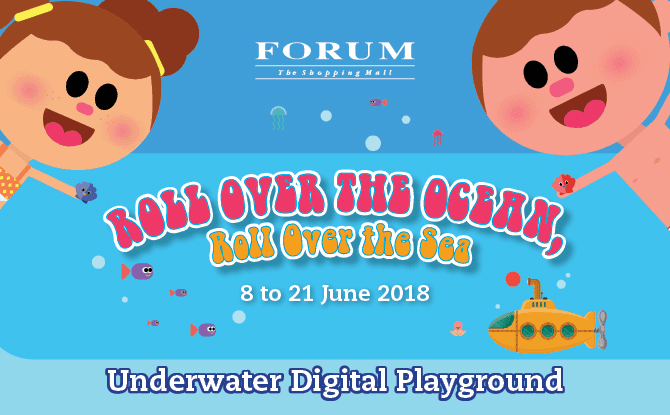 Also, enjoy an interactive underwater show, get inspired by art installations made from marine plastics at “Life in Plastic” and take part in interactive games & activities. For more details, visit HERE. Inspired by the Bobsleigh Track in Prague, feel the adrenaline as you slide down two slides. Choose from a 17-metre straight slide at 1.8 metres high or be adventurous and go on the exciting 30-metre curvy slide elevated at twice the height! Explore iconic landmarks of Berlin, Budapest, Moscow, Prague and Warsaw at Singapore’s largest cardboard installation measuring 21 metres by 19 metres! Get creative as you pose with the seven landmarks or with the 3D Sesame Street characters dressed in European costumes. Look forward to some bouncing fun at the Sesame Street inflatable playground (kids only!) and have a go on the rock climbing wall, tunnel tubes and slide your way down into a large ball pit. For redemption details, visit HERE. 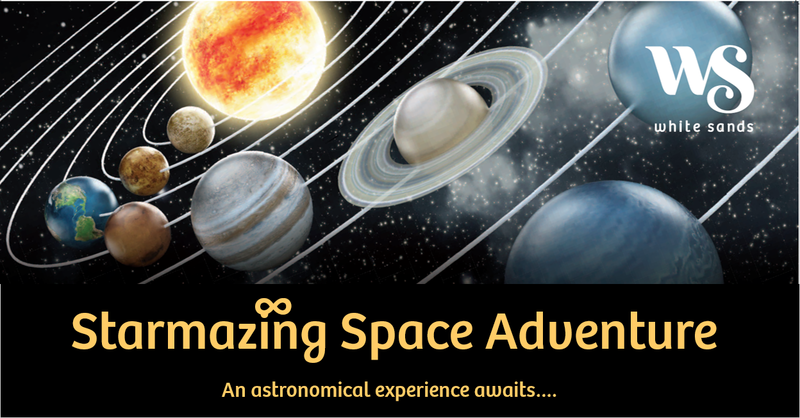 Learn about outer space, constellations and planets right in the heartlands of Singapore. White Sands will be offering a range of activities from shopper giveaways, to a unique indoor space exhibit put together by Astronomy clubs across the island, made partially from balloons and lights that the little ones will definitely enjoy. 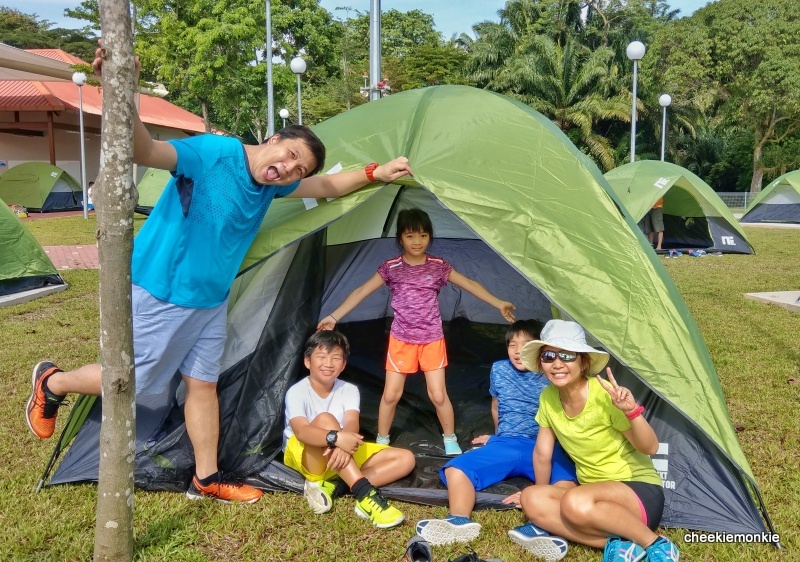 Held at White Sands’ open field beside on 16 June, shoppers are welcome to bring along telescopes and binoculars to join in the fun of the mass stargazing session jointly hosted by White Sands and students from the 9 participating schools and club. Mini stargazing sessions will be held on 17, 23, 24 and 30 June, from 7pm onwards. Get set for a multi-sensorial experience of sight, sound and touch through a series of fun and interactive activities, including Immersive Virtual Reality and Sandpit Dino Fossil Excavation. Plus, get up-close and personal with a life-size sculpture of the Velociraptor – Blue! For more details, visit HERE. Some begonias are much sought after for their large and stunning flowers, and Gardens by the Bay celebrates the brilliance of begonias with its first-ever floral display showcasing more than 50 varieties with beautiful blooms in a spectrum of reds, oranges and yellows. The showy flowers – some grown by Gardens by the Bay’s horticulturists – introduce bursts of bright colour into imaginary worlds such as an undersea realm where octopuses, manta rays and giant clams reign. Here for your great adventure! 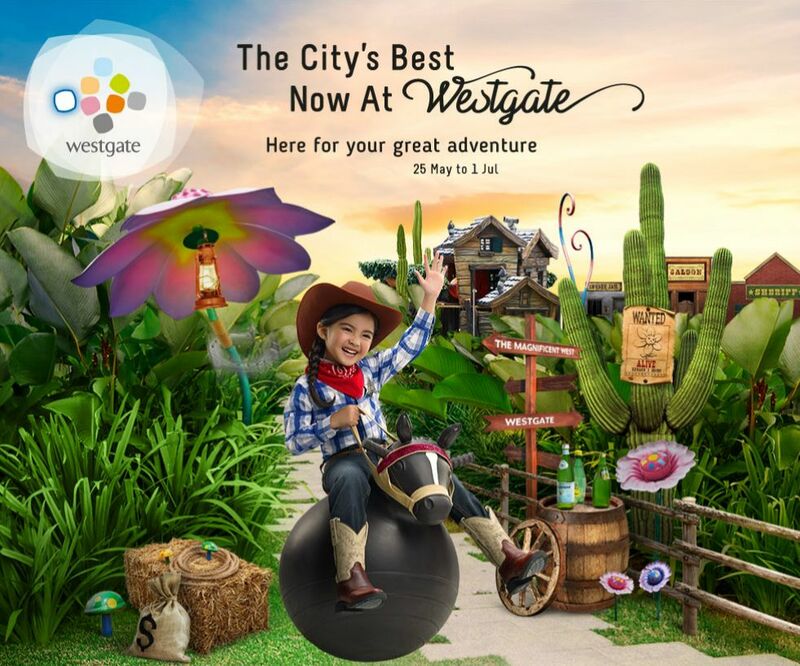 Spend $80 (or $60 for American Express CapitaCard) to redeem a ticket to Westgate Summer Camp - The Magnificent West at Westgate! Limited to first 5,000 redemptions. 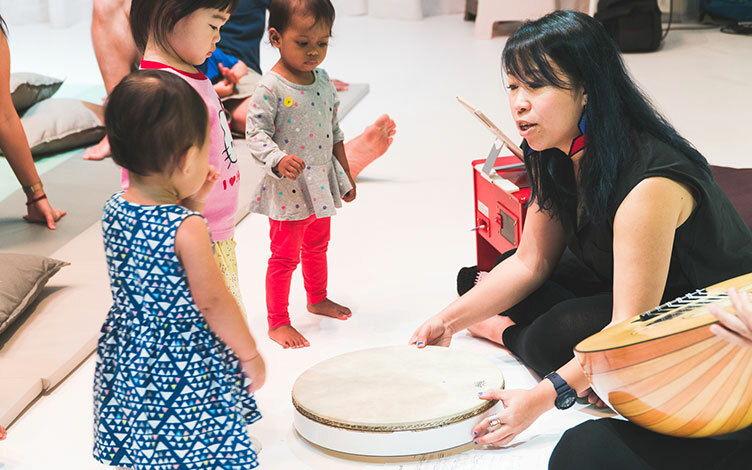 Saturdays@ACM is a family-friendly programme on the last Saturday of every month at the Asian Civilisations Museum. Families can spend a full day exploring the wonders of Asian art and folklore. Enjoy creative, hands-on activities, interactive performances and drama, and storytelling in the museum's galleries. Each month features a different theme - learn tales behind popular cultural festival, embark on a journey across ancient civilisations, and make your masterpiece inspired by thousand-year old artworks. The DARE Festival of Hands celebrates the great things we can do with our hands: games, crafts, magic and saving a life! 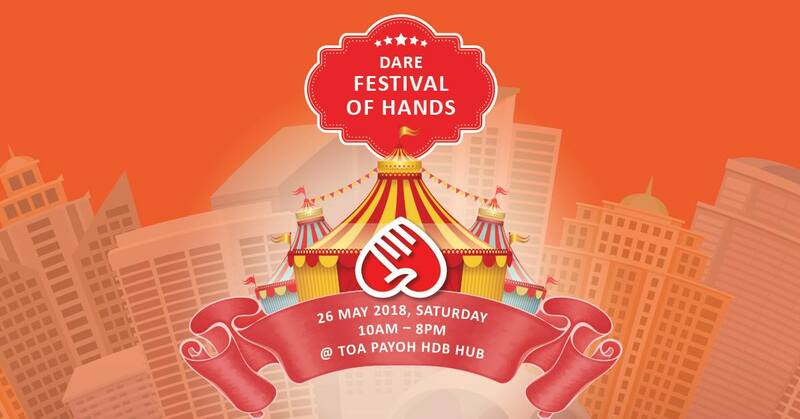 Bring the whole family down to Toa Payoh Hub on Saturday 26 May for a unique day out. For more details, visit HERE. Hold onto your seats this June, as NHB's annual Children's Season Singapore returns in 2018, bringing art, cultural and heritage experiences that will thrill and provide hours of fun for the whole family. From Joo Chiat to Jurong, from Kallang to Bukit Timah, enjoy a host of programmes, exhibitions and activities all across the island! For more information, visit HERE. Music, intangible music, evokes beauty like no other. Voices, ethereal voices, touches the cosmic as none can. From hymns sacred to the heart to greetings of spring blooming, to invocations reaching for the celestial, the Singapore Symphony Children’s Choir with the Singapore Symphony Youth Choir present a choral constellation of star-lit songs - timeless splendour in celebration of their 12th anniversary. 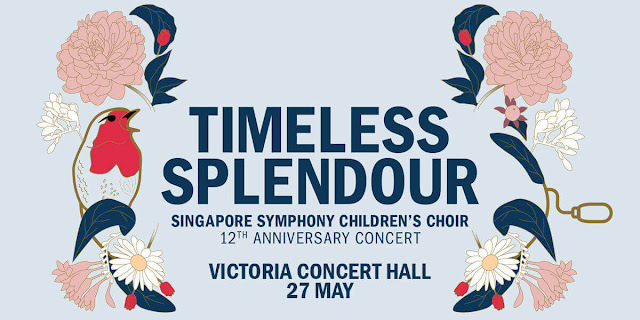 This concert will also feature a newly-commissioned piece by Cultural Medallion winner Kelly Tang. For tickets, visit HERE. Get 10% discount for below workshops by quoting 'Cheekiemonkies'! Get 30% discount for below workshops by quoting 'Cheekiemonkies'! 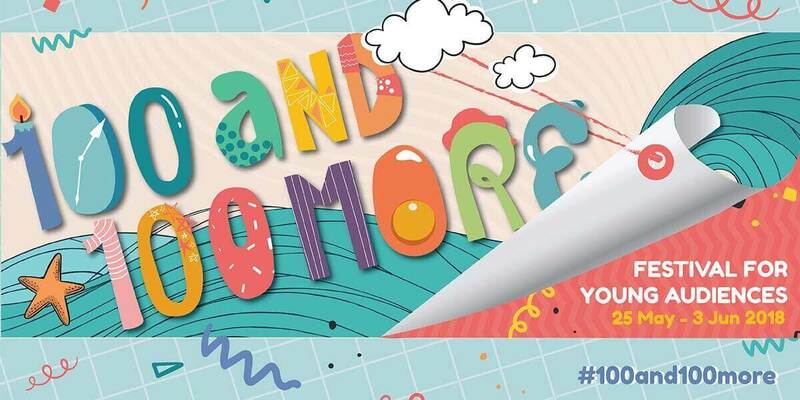 Play It Forward is back for a second year running with a fresh new concept to bring everyone together with the set-up of Singapore’s largest crochet rope playground. This school holiday, the malls of Frasers Property are bringing in The RopeScape – a combination of individual nylon ropes crocheted by hand to form a 10m by 7m wide structure for children to play in. As an engaging way to bring the family together, the vibrant RopeScape will be set up at seven malls of Frasers Property island-wide from 29 May to 1 July 2018. With a $5 donation for 20 minutes of play time, shoppers can let their young ones have fun in rewarding way while chipping in for a greater good. All proceeds raised will be donated to the Association for Persons with Special Needs (APSN) - Centre for Adults. At the end of the event, these ropes will be upcycled and transformed into a variety of everyday items from key chains and dog leashes, to skipping ropes and floor rugs, by APSN and a team of dedicated volunteers. These newly crafted products will be put up for sale, where all proceeds will go to the association’s Centre for Adults. 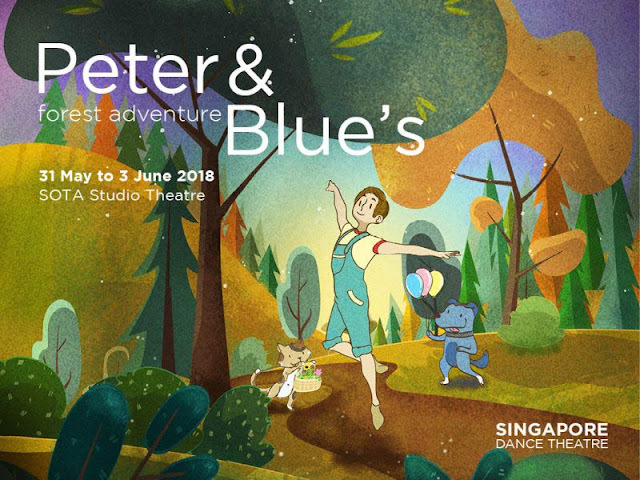 An hour-long ballet specially created for the wee ones, this year’s Peter & Blue’s Forest Adventure will feature a live narration that engages with the children. Interweaving the magic of fairy-tale and meaningful morals, this children’s production tells the story of the ever-inquisitive trio - Peter, his dog, Blue, and his cat, Calico. The trio embark on yet another magical adventure, ending off with a blast at a huge birthday celebration! Children will get to meet with the dancers and take photos with them after each performance. Recommended for children of ages 3 and above. Tickets HERE. The SGF roadshow located at the South Atrium in Northpoint City features Instagram-worthy photo points with a mini garden display, and its lovable mascots –Benny the Bee, Gary the Grasshopper, and Lindy the Ladybug. Other fringe activities include games to learn more about plants and how we interact with them daily as well as painting activities for children. Children’s all-time favourite PAW Patrol characters are coming back to United Square with Leap Into Action Stage Show. The highlight this year will be Rubble’s debut appearance in Asia. Join Ryder for an action-packed, high-energy and musical adventure with the pups - Marshall, Chase, Skye and Rubble, as they enchant fans with singing, dancing and lots of laughter. 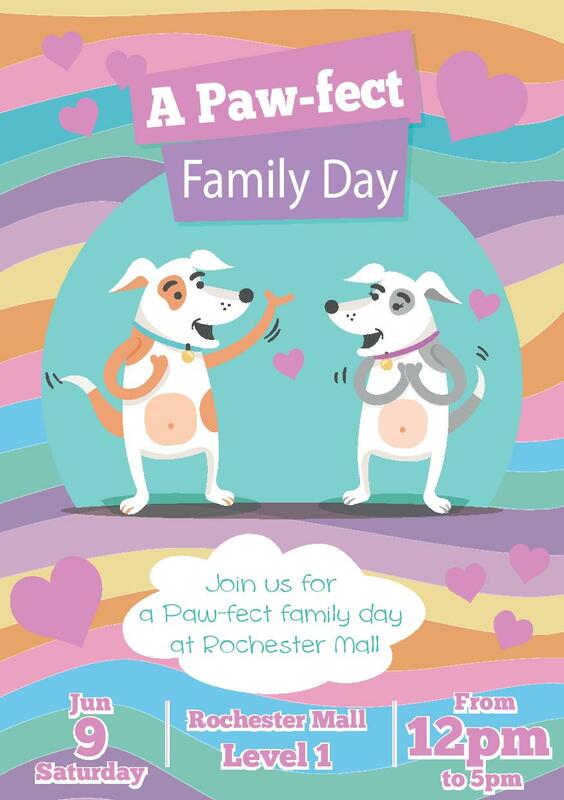 Spend $60 in a single same-day retail receipt at United Square to shake paws with the pups. Limited photo passes will be issued one hour before each show. rainbow-themed playground inspired by the simple happiness found in everyday life, created for people of all ages. The exhibit features an interactive bounce house and oversized plush sculptures that come together to create a multi-sensory experience that offers a kaleidoscopic look into a rainbow coloured world. 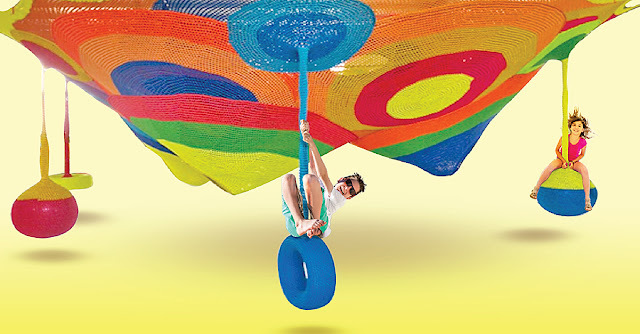 To redeem an entry into the Happy Rainbow Play Zone, simply spend $30 in a single same-day receipt. Come on down to Marina Square for a Dino-filled June School Holidays adventure and let its friendly giants take you back in time! Be wowed by the appearance of our larger than life dinosaurs and meet our friendly Tyrannosaurus Rex, Baby T and Raptor the Velociraptor. The first 20 families in the queue will also get to feed and greet these gentle giants! Limited seating capacity. Admission on a first-come, first-served basis. Feed & Greet passes will be distributed at the entrance 20 minutes prior to each session. Immerse yourself in our world of animatronic Dinosaurs to go back in time with T-rex, Triceratops, Carnotaurus and more! Don’t miss out on the gigantic Dinosaur Eggs and pose for a picture with our adorable Baby T-rex! 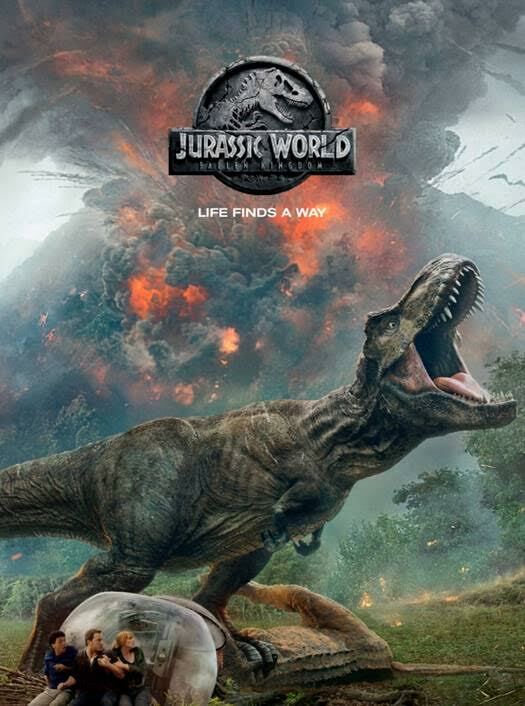 Forget the conventional cinema date and experience our outdoor movie screening of Jurassic World. Enjoy the movie and a complimentary pack of popcorns! Free entry, first come first served. Join us as we embark on a RAWR-ING adventure in a whimsically realistic, prehistoric world of jungles with Buddy and his friends from the popular educational animation Dinosaur Train! 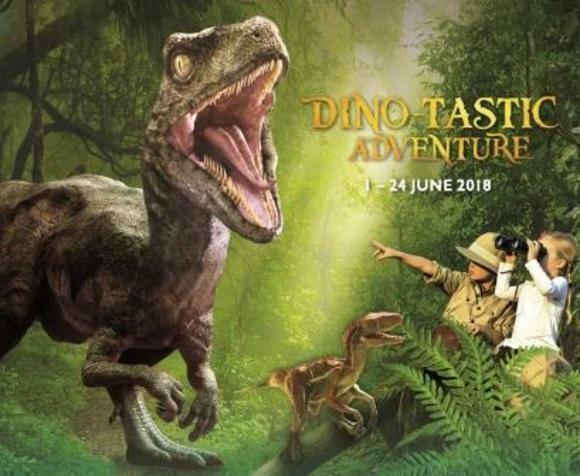 Put on your paleontologist hat and explore the fascinating world of dinosaurs through Live Shows, Workshops, Handicraft Activities, Meet & Greet and many more; all at the North Atrium, Suntec City! For more details, visit HERE. If you’re looking for a fun day out with the kids, venture into the dinosaur world with Dinosaur Train LIVE Show at Suntec City! Hop on board the “Dinosaur Train” with Buddy, a preschool-aged Tyrannosaurus Rex and his friends, Tiny, King and Mr. Conductor, as they ride through the lush canopies of tropical trees while learning about the different types of dinosaurs through fun interactive games and Sing & Dance! There will also be a Meet & Greet session after each Live Show. 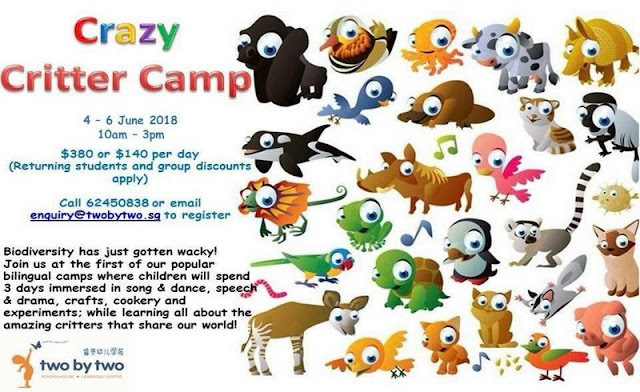 Here’s something to keep your little ones busy this June Holidays! 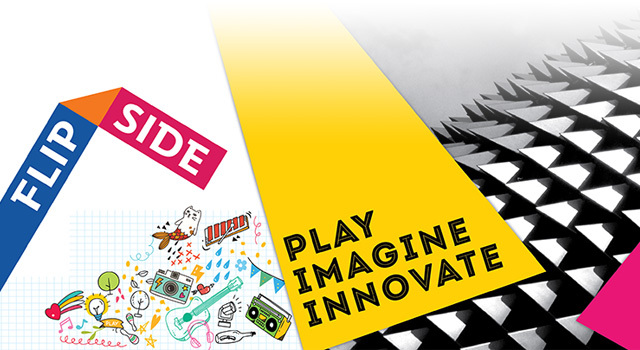 Suntec City has specially curated workshops that are both fun and educational for the kids. Pre-registration is required via the Suntec City app at a fee of $10 for each workshop. All participants will take home a $10 e-voucher upon completion of the workshop. Book your slots for these workshops via the Suntec City app. Art Stories with my DAD! Escape into the world of art The Tatinis Kids Art Party. Tatinis, Centre for Fathering-Dads for Life and Umistrong bring this exciting event for fathers to bond with their little one’s and create an amazing piece of art. Art materials such as canvas, paints will be provided. Qualified art teachers will be present to guide the participants in different art techniques. Admission is free for the exhibition, and for each sub-event. Pre registraition is required for the “Kids Art Party” event - Register HERE. 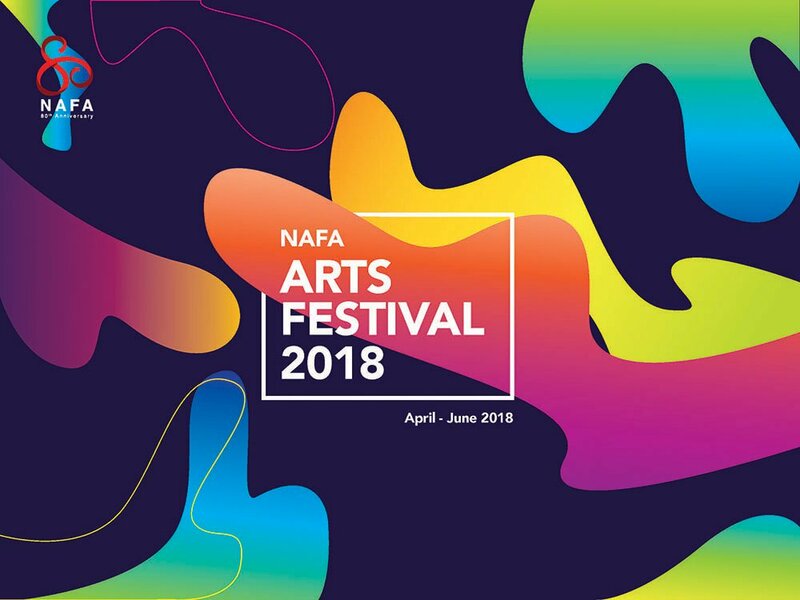 As part of NAFA’s celebrations for its 80 years of establishment and achievements, NAFA Arts Festival 2018 aims to showcase the academy’s diverse artistic talents. The Arts Festival will culminate with a closing carnival on 2 to 3 June at NAFA Campus 1, with yet another series of festivities for everyone to enjoy. For more information, visit HERE. The Paint Party is back for its second run with a botanical theme over at the South Atrium. Budding artists who registered online as an individual or in a group of up to 4 participants from 30 April to 20 May 2018 will get to demonstrate their creativity and put their artistic skills to the test at the art sessions! Participants will also walk away with a goodie bag worth up to $20 each. FUNtopia 2018 is back! 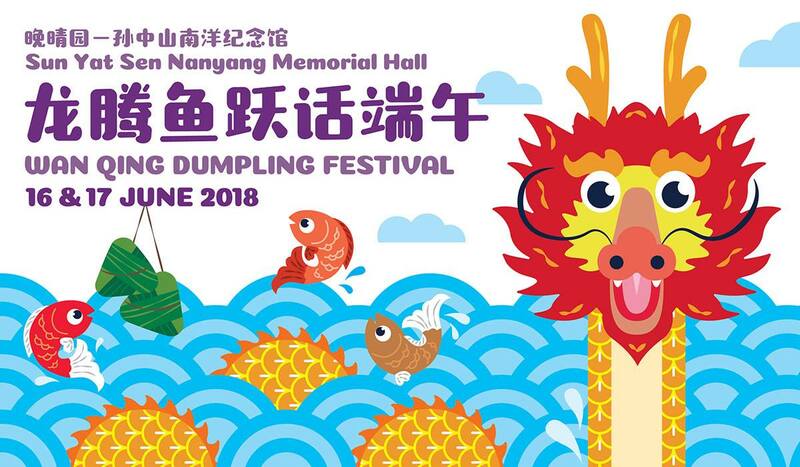 Join in the fun at the Singapore Maritime Gallery with your family and friends for the exciting line-up of programmes. Embark on a discovery journey to discover how spices travelled through the maritime routes to Singapore, the importance of maritime trade to us since history and how Singapore continuously proofs herself through innovation, to create more opportunities within the industry globally! 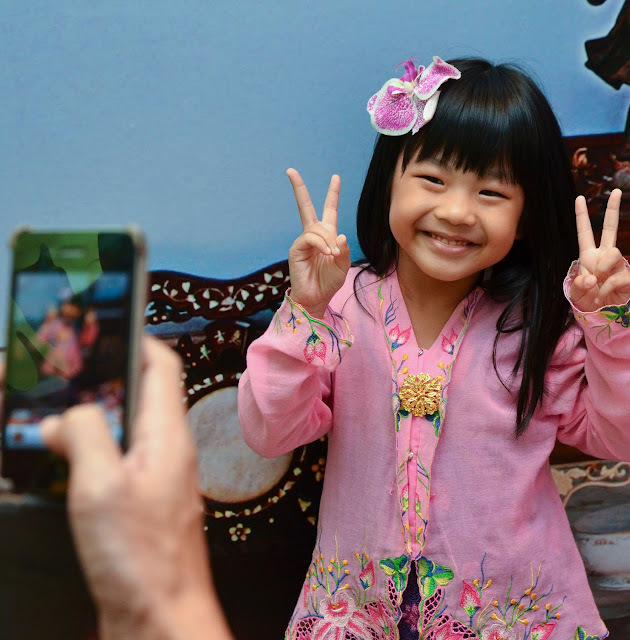 Create a family portrait inspired by our Amek Gambar exhibition before the Hari Raya celebrations! Discover Jawi Peranakans and their stories as you go on the interactive character tour through the galleries. Get hyped this June, as Kids Carnval returns from Tue 5 Jun to Sun 17 Jun 2018 at Takashimaya Square, B2! For the first time ever, Robocar Poli is heading down for a meet and greet, as well as live performances to entertain the whole family. 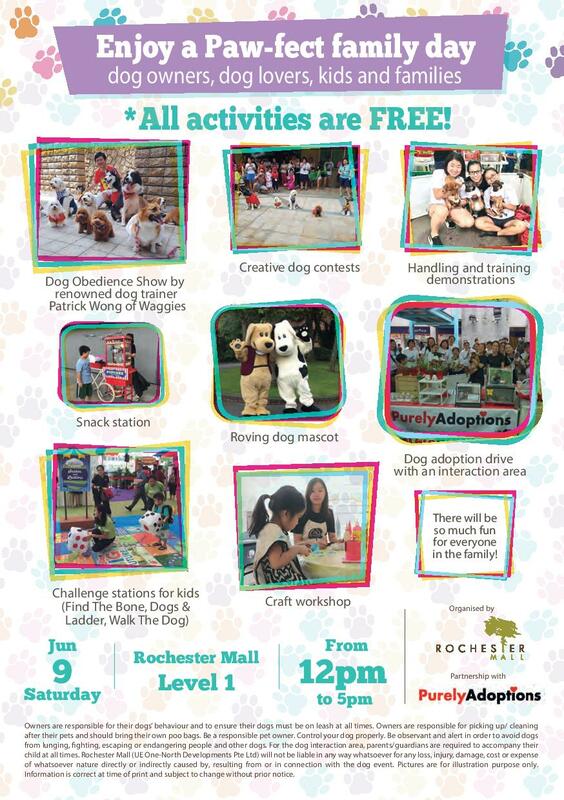 Be sure to also check out the fun activity booths, and exclusive deals for toys that will be on as well. 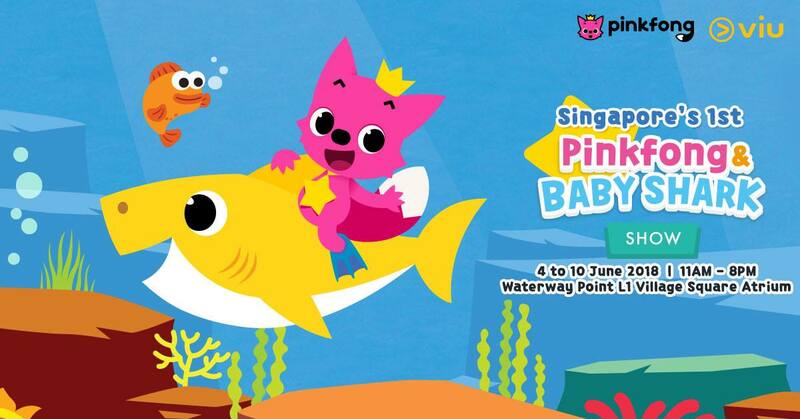 Bring your little ones down and catch the LIVE performances of Pinkfong & Baby Shark!! Plus! Lots of fun activities and your child can even bring home exclusive Pinkfong & Baby Shark merchandise! Adapted from the book by Julia Donaldson & Axel Scheffler. 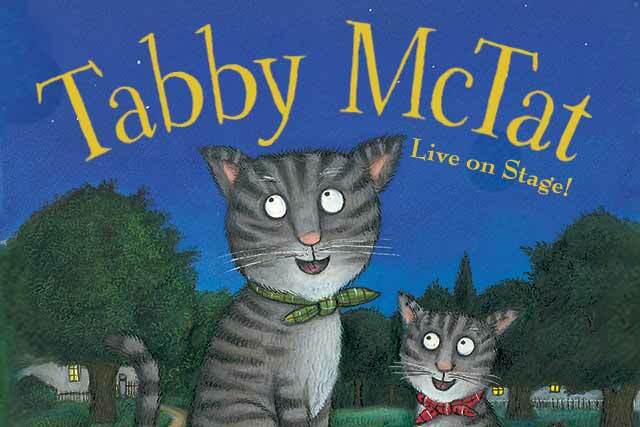 No cat can sing like Tabby McTat, Fred the guitar-playing busker’s cat. He loves to sing as people throw coins in Fred’s hat! But one terrible day, Fred chases a thief – and the two are separated. Will they ever sing songs together again? Fresh from the greatest picture book team in the world comes this delightful rhyming story of music, friendship, loyalty - and cats! Tickets HERE. Join Jenny and Jerry for a day of fun under the sun, all while meeting amazing sea creatures from the deep within! Explore our underwater digital playground. Find out more here! Redeem a QR code to play with a min. spend of $50 in a single receipt and walk away with sure-win attractive prizes! Make your own castanets at PIP’s PLAYbox and let you and your critter creations be the stars in this music and movement class by My Piano Room! 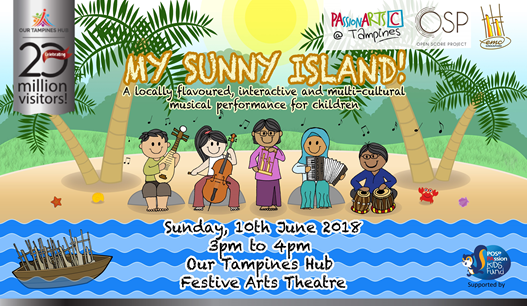 Featuring music from instruments such as the angklung, veena, zhonghu and accordion, “My Sunny Island” is an interactive musical that aims to introduce young children to the music of various cultures in Singapore. Kids will join the residents of “My Sunny Island” in a light-hearted adventure as they investigate a mysterious new instrument that has washed up on their shores. The interactive musical will keep kids at the edge of their seat with excitement as they engage with characters. Not only will they be able to enjoy the catchy original tunes, they will even be able to learn and try out the various cultural instruments with our professional musicians. FREE admission to all! Scale, slide and navigate your way to victory with the Ninja Bounce Obstacle Course for Ninja Kids! Stations include low walls, mazes, slides and tunnels. Enjoy fun and interesting programmes! Find out about the creative process behind the books on Antoine de Saint-Exupéry, that have been illustrated by Cédric Fernandez. Learn French words and the quirks of French culture, and more! Get active this weekend at Cartoon Network Move It Movement Presented by Kirei Kirei! Your favorite toons are all at Causeway Point, teaching you how to stay fit, healthy and active through sports and exercise. Help The Powerpuff Girls knock down the bad guys, then wriggle through a Ben 10 obstacle course and work with K.O to dribble past obstacles to reach his goal! 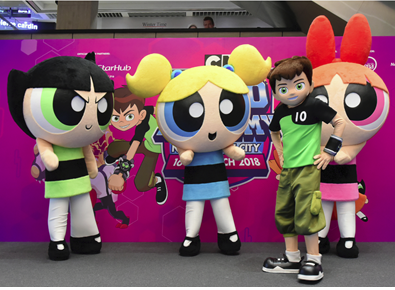 You can also stand a chance to meet-and-greet Cartoon Network’s own Powerpuff Girls and Ben 10! Thank you Kelvin for compiling!!! As usual, whenever I need to plan holiday activities, I just need to come to your blog and search! You are amazing! Thank you!